I have been sharing some views of my backyard, here is a view of my front yard. 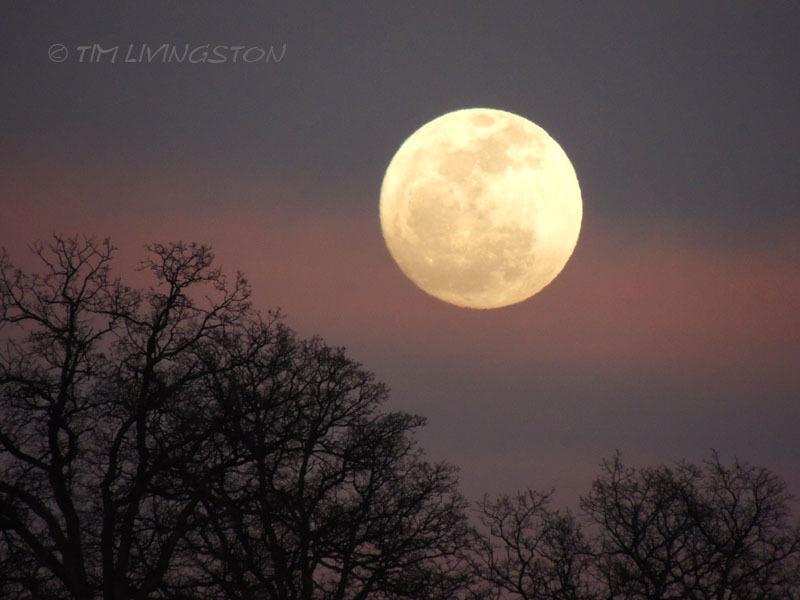 Tim captured some nice shots of last night’s moon rising. This entry was posted in Uncategorized by MaryALivingston. Bookmark the permalink. That Bad Moon is looking good to me. Wow! Makes me want to do some howling! I’ve had an answer then maybe ! February is known as the snow moon. January is the Wolf moon. See Z’s comment on Tim’s original post.